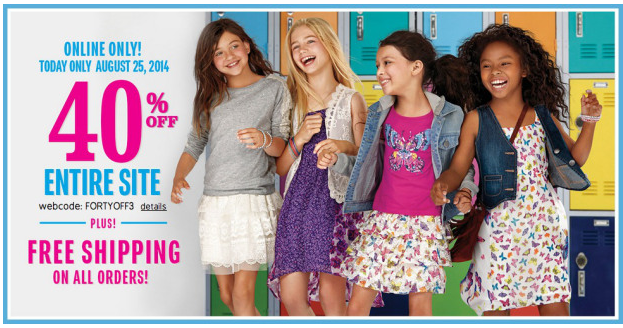 Children’s Place: *HOT* FREE Shipping + 40% off!!! Today only!! Woot! The Children’s Place is again offering up FREE shipping today!! Plus you can take 40% off too!! That means you can get your Back to School shopping wrapped up on the cheap! Need Fall and Winter clothes? Now is the time!! Just use the promo code FORTYOFF3 at checkout to get the 40% off and free shipping! 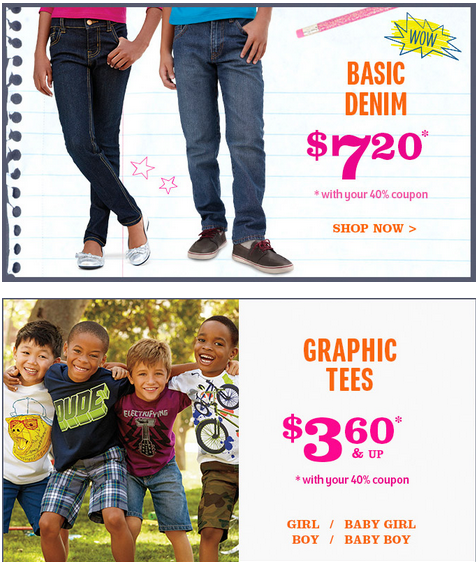 Jeans are just $7.20 shipped after the promo code!! !